CATUNED. And on the seventh day, we race. 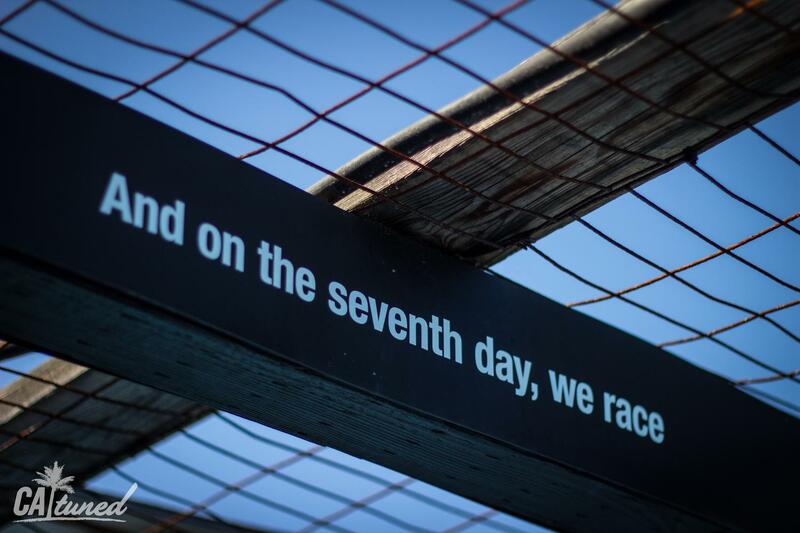 And on the seventh day, we race. 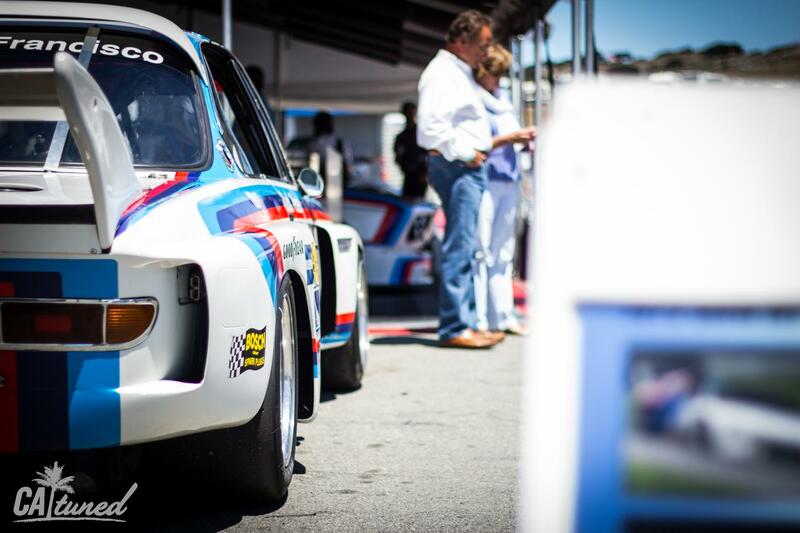 Go to Laguna Seca. 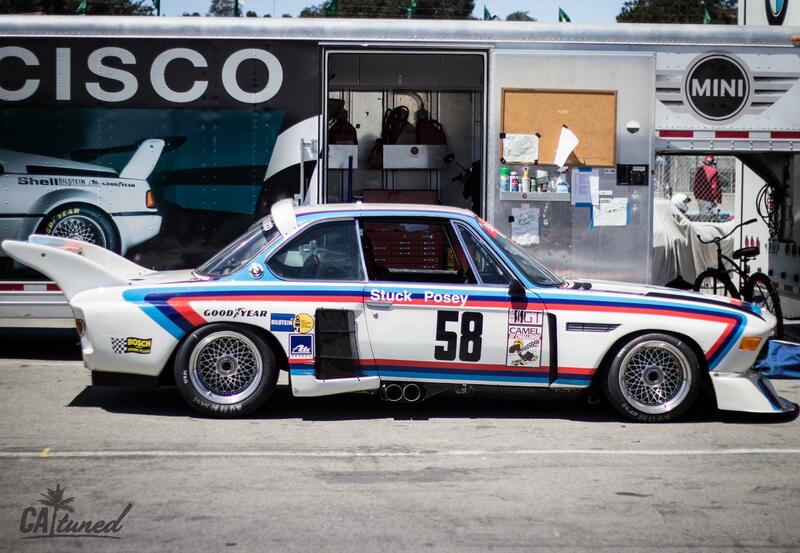 Go during the Rolex Motorsports Reunion. Get a campsite. These are your directives. 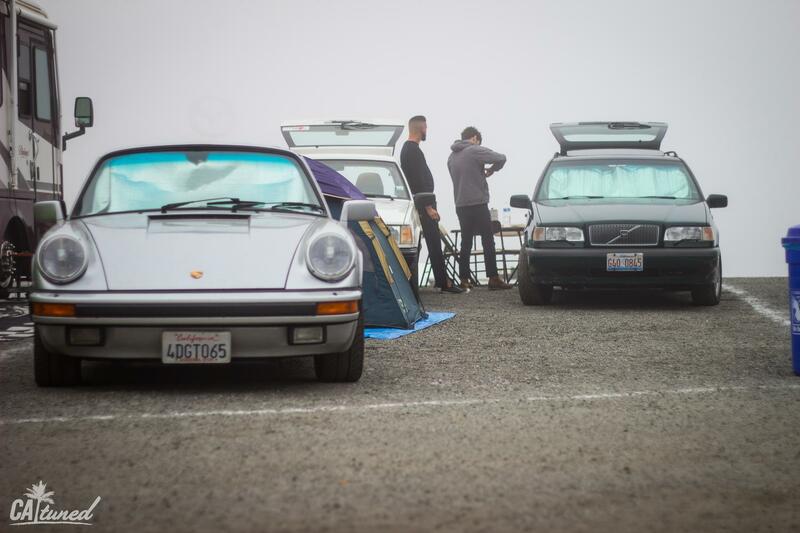 If I could properly describe the bliss of waking up on a foggy morning to the sound of uncorked race engines revving a few hundred yards away, I wouldn't have to recommend that you go experience it for yourself. I can't describe it, so I need you to live through it in order to fully understand the context of this post. Now... if I were unreasonable, I would password protect this blog post, and require proof that you've met the requirements before reading on; but my need to share (over-share) all I've seen this weekend is overwhelming that urge, making this your lucky day. Now, where was I? Ah yes, fog...magical cylinder explosion noises...the iconic Mazda Raceway Laguna Seca in the early morning. Actually, let's back up to the day before, when I arrived. If I'm going to share my weekend with you all, it's best that I completely set the scene. I've been to LS before, but this time was a little bit of a different experience for me, as it was the first time that I've ever come into the complex through one of the back roads. Due to our campsite location, we were encouraged to enter the track through Barloy Canyon Road, which is accessible from Hwy 68. The drive down from the north to Laguna Seca can be very beautiful: you're either going to hit beachside highway, or cross through a beautiful mountain pass with a nice downhill forest drive marking its end. However, depending on your entry point, the very last few minutes into the track tend to be--if not quite boring--at least anti-climactic to a great drive. Not this way. The easiest way to get to Barloy is to take the 101 through Salinas. In Salinas turn onto the 68, which leads you out of the town, and across the narrow Salinas Valley. At the end of the valley, you exit onto Reservation Road, which Barloy feeds off. Barloy Canyon Road meanders through the sandy/shrubby hills that make up the old Fort Ord monument. This isn't a monument in the form of a building or statue, but it's actually several square miles of trails and undeveloped land. Even on the cusp of one of the biggest racing weekends at Laguna Seca, the road was empty save the two Volvo wagons in our caravan, and one other car that came in behind us. Otherwise, it was all scenic drive, twisty/hilly road, and two mountain bikers on a trail off to the side. I recommend that everyone take this way onto the track. Barloy goes straight into and through the track complex, so you can literally follow it into and out of the parking area. The next time I'm in my E30 driving down, this is the way I'm taking. Please send a tow if you see a bronze/silverish BMW in the shrubs as my ________ cell phone service gets one bar or two at best out there. Thanks in advance. When we pulled in, we bought our ticket for the day, and were pointed to our camping area. We had a pretty commanding view of the entire infield, the front straight in the distance, and a good amount of the track between turns 9 and 10. At sun up and sundown, you couldn't have asked for a better backdrop. The majority of campers were in RVs, but between almost every "Jamboree" and "Tradewinds" (seriously, who names these things? 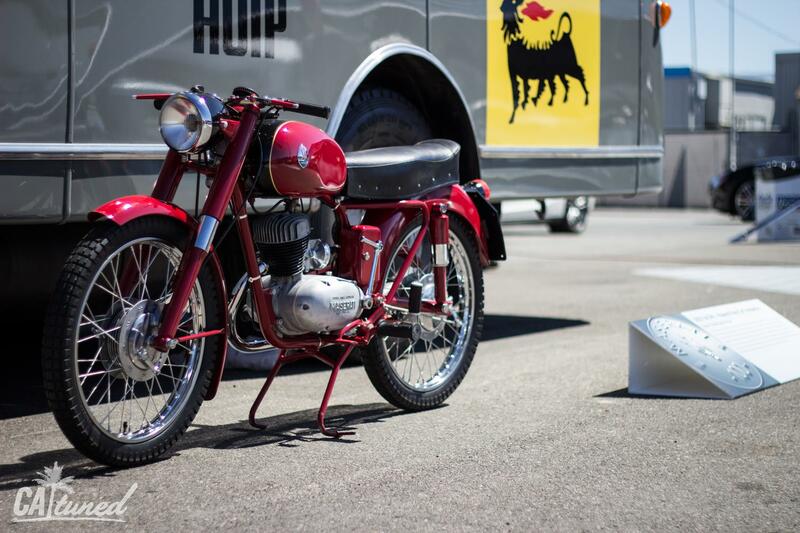 ), you could find a rare classic waiting to be taken off the complex, and out onto the Monterey streets. Most everyone we ran into was willing to share about where they came from and their car, or even a bit of coffee in the morning. For that weekend, we were neighbors--and neighbors share. For example, the couple in the RV next to us graciously set up a power cord off their generator so we could charge cell phones and camera batteries. The conversations were numerous--and no two people had the same story--but we all shared a love for vintage iron and the race track. 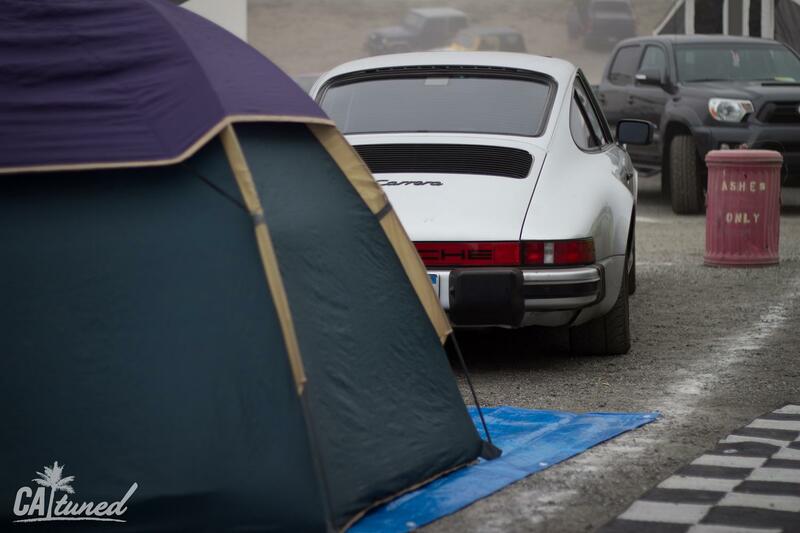 I hope I spend the rest of my life returning to Laguna Seca for this event, and plan to spend each visit staying on the camp grounds swapping tales around a fire with beer to share. We may disagree on this, but I think the best part of going to any auto race is visiting the paddocks. Of course the roar of engines at full tilt down a long straight puts a silly smile on my face--there's simply no substitute for it. That being said, if I watch a race from home, I can turn the volume way up on my TV, and the video production team will ensure that I catch all of the good action with replays. I'd argue that it's a better bargain, to be honest. When I'm actually at the track though, I find that the ability to get up close and personal with the cars and crews far outweighs watching the cars race around in person. The smell of hot oil and coolant as the cars come off track, and watching crews work furiously to get a car ready for its next time out is simply intoxicating. 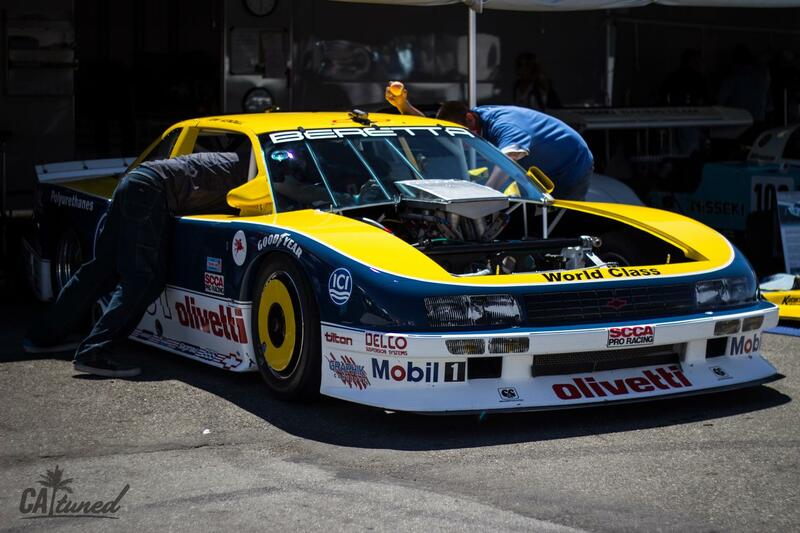 I'm reminded that this is what I want to do for a living: spend months running a team, and building/testing a car, then putting in hours on the weekends at a racetrack keeping the car performing at its best on the course. Going to events like Rolex the Monterey Motorsports Reunion provides the unique opportunity to watch both professional teams and family outfits (or even one man shows!) put in work. If you can't find inspiration here, you won't find it anywhere. Ironically, for an event full of classic cars stretching their old legs on a tough track, there were far more cars that didn't have mechanics swarming around them than cars that did. I also couldn't help but notice that most of the cars that did need work were less than 30 years old. 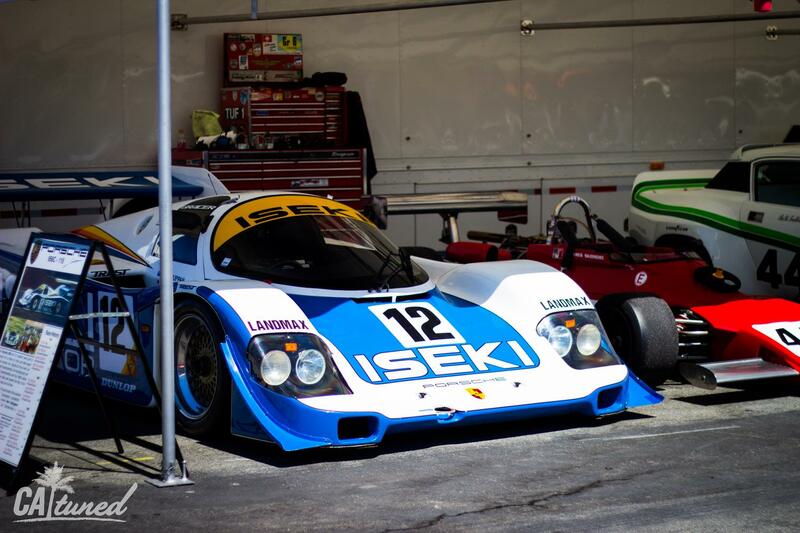 These cars were from an era where turbos and creative electronic fuel injection systems were becoming the norm. These were the steeds that featured ever more complicated engines and transmissions in an effort to eek out as much performance as possible from their allowed displacement. They were the pre-cursors to today's more reliable machinery, but with such technology in its infancy back then, it took much more to keep them running. The simpler, older rides seemed to be faring better. Still, even amongst the younger cars, the majority seemed to be running just fine. 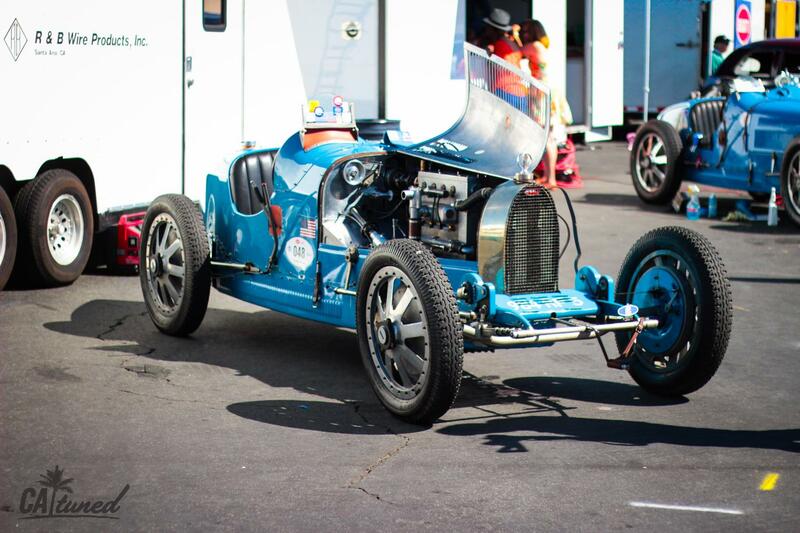 You would think that all of these decades-old machines would be breaking down left and right; but on both of my visits to the paddock area, I found most of the pictures I took were of cars that were whole and healthy, without so much as the hood propped open. I suppose it makes sense in a way: these cars had to be tougher than the competition to survive their regular race careers--many as champions. 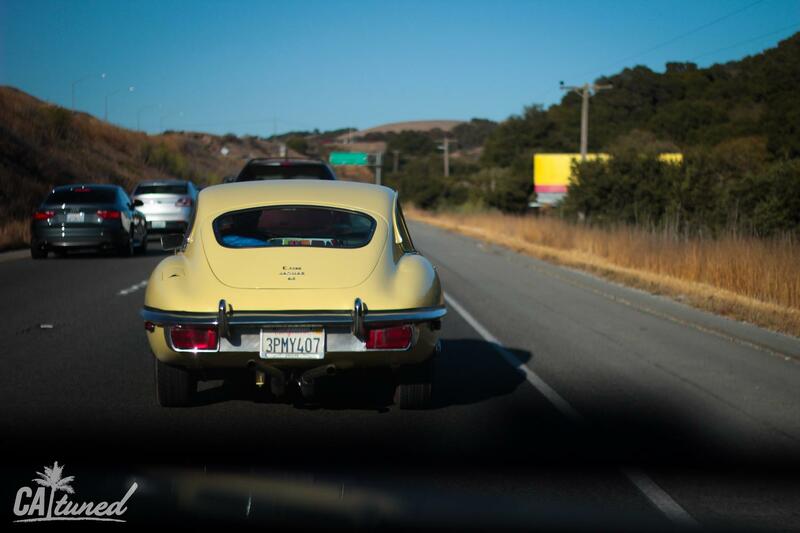 The occasional sprint race at Monterey and other classic race series must seem like a Sunday drive up Highway 1. 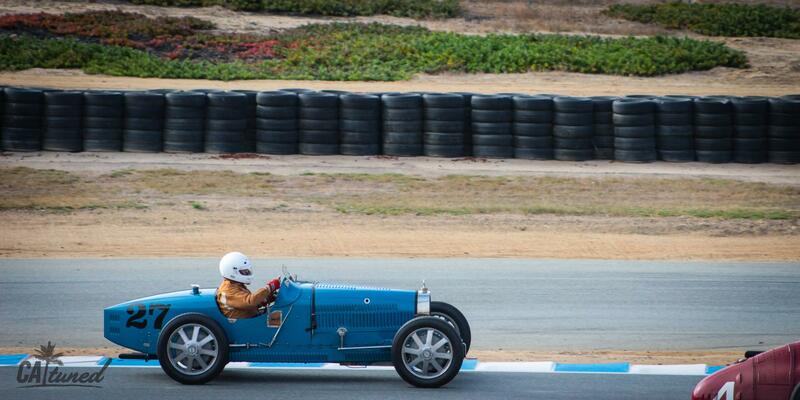 I mean...what can I say about watching a race at Laguna Seca that hasn't already been said? Like lots of race enthusiasts of my generation, this is a track that I raced and crashed at innumerable times growing up--virtually, at least. I can't remember a Gran Turismo or Forza that didn't have the sandy track available. The first time I went in person, I stood at the top of the main grandstands taking in the view, nearly breathless. From the Andretti hairpine, through the Corkscrew, and to the Rainey Curve, I visited every part of the track in true 3D, re-committing the track I thought I knew to memory. 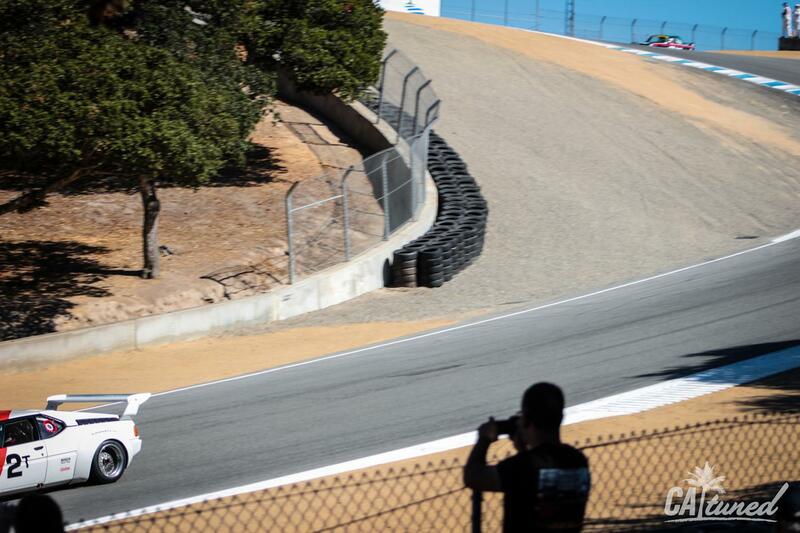 Laguna Seca is one of the most dynamic tracks in the country, maybe even the world. It's a true old school, natural terrain track. Almost every foot of the course is part of a transition in elevation. The only portion of the track that's relatively flat is the infield complex from turn the Andretti Hairpin to turn 5. Otherwise, drivers are always either going uphill or downhill, in addition to some tough turns. I don't have to tell you that this makes for some really exciting racing. There wasn't a spectator area where I couldn't find some great action during the Rolex Reunion--whether it was watching a guy in a 40-year old Mustang make a ballsey pass on the slippery outside of turn 3, or watching two Maseratis and a Ferrari drag race three-wide up the front straight hill. 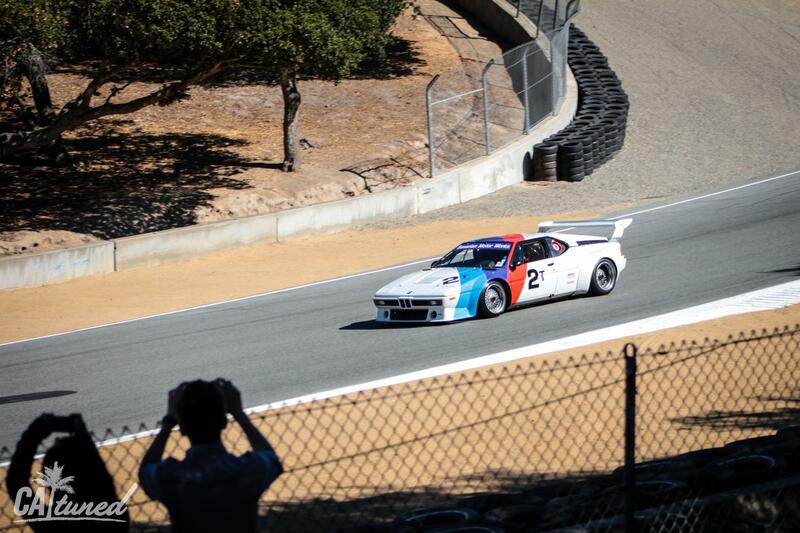 And of course, the Corkscrew never disappoints as an exciting vantage point. When you watch a car get squirrelly down the 8-story drop there, it's hard to recover from. Doesn't matter if it's the the tenth time you've seen it, or the first time. 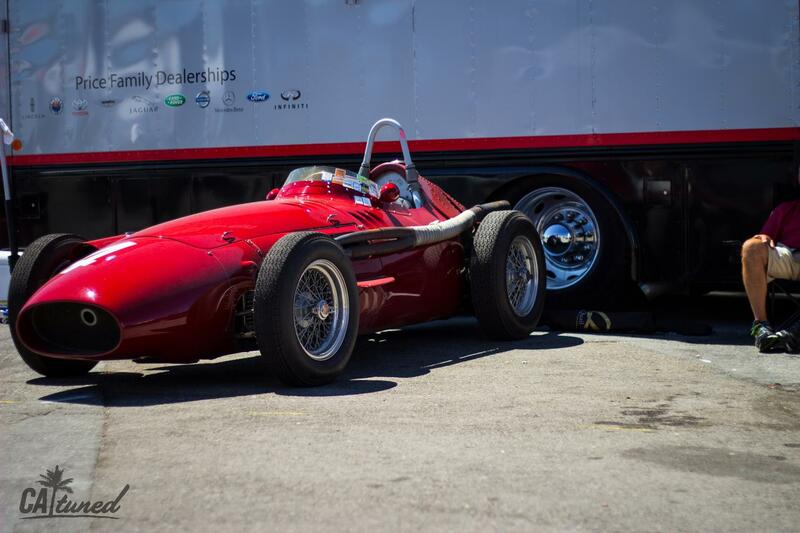 Most classic race events divide cars by era, engine displacement, and sometimes series. 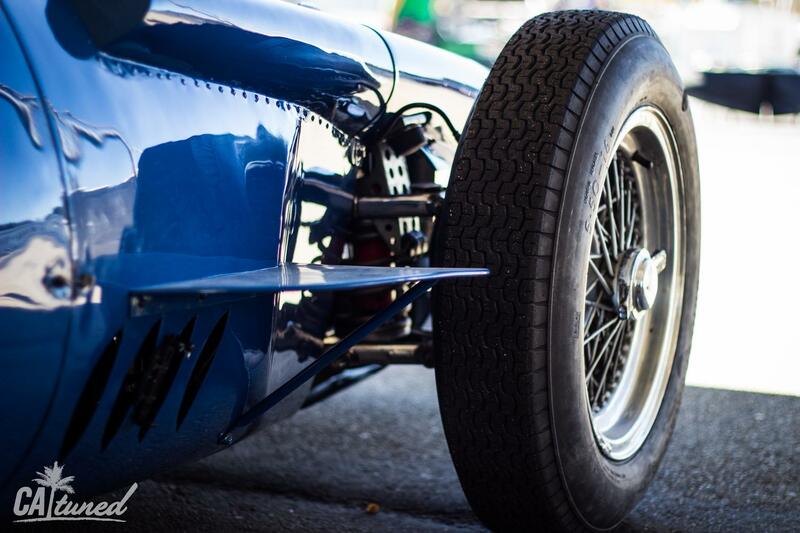 At the Rolex Reunion there were 15 groups spanning the pre-WWII era on down to the early 90s--almost 100 years of racing cars in all. The grids were incredibly diverse, even within specific groups; but if you took in every car seen that weekend, the variety was mind-blowing. Everything from humble early Porsche 911s and Alfa Romeos to full factory-backed LeMans Prototypes were on tap for entertainment. 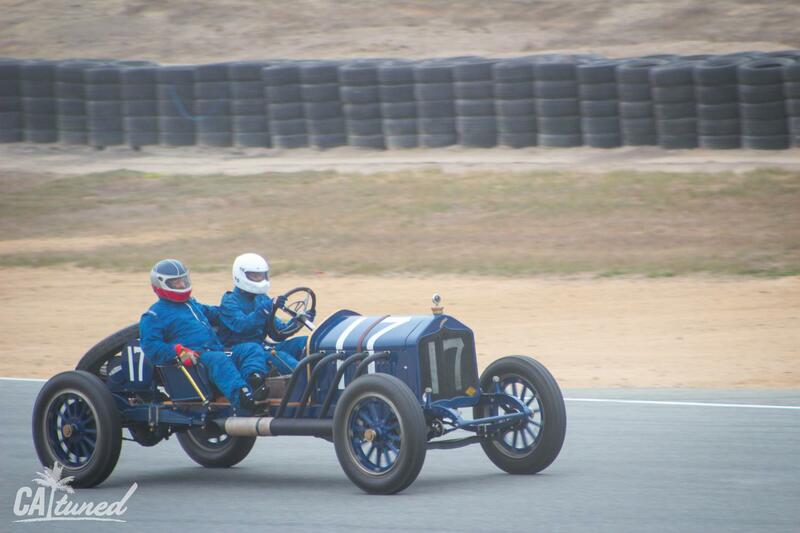 One of my favorites (albeit the slowest), were the pre-war race cars and their drivers. Those guys must be some serious thrill-seekers, because let me tell you: there's no way I'm ever strapping myself to a glorified horse buggy, and careening down the Corkscrew. Not ever. Call me punk; I say I just like living. I found something interesting in every group that went out on track, but the cars I looked most forward to came from the IMSA ranks. 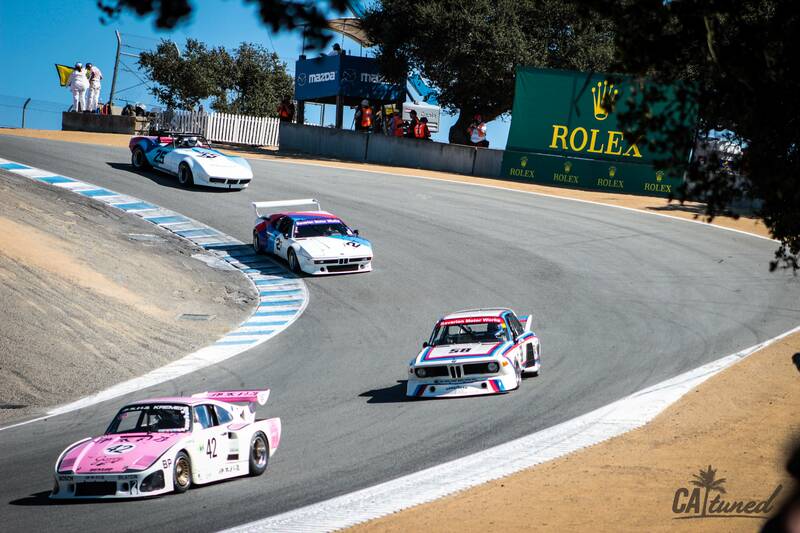 At the earliest end--say 70s-80s--the IMSA GT/GTX cars, and their European FIA-compliant counterparts took to the track, battling it out for a 20-minute heat. 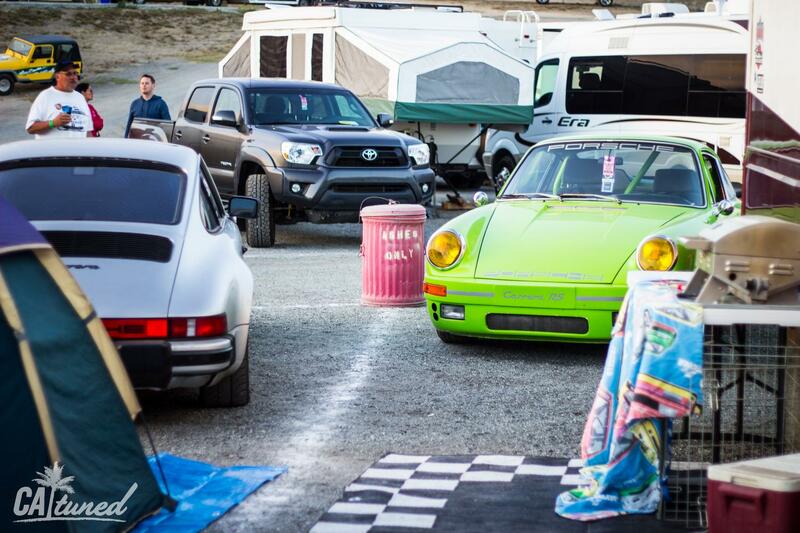 From buzzing 2.0 liter 911s to a 7.4-liter monster of a Camaro, they raced through the hills. Somewhere in between the two extremes sat the BMW CSLs, an M1, and a couple of Kremer Porsches, all wings, flares, and snorting bravado. 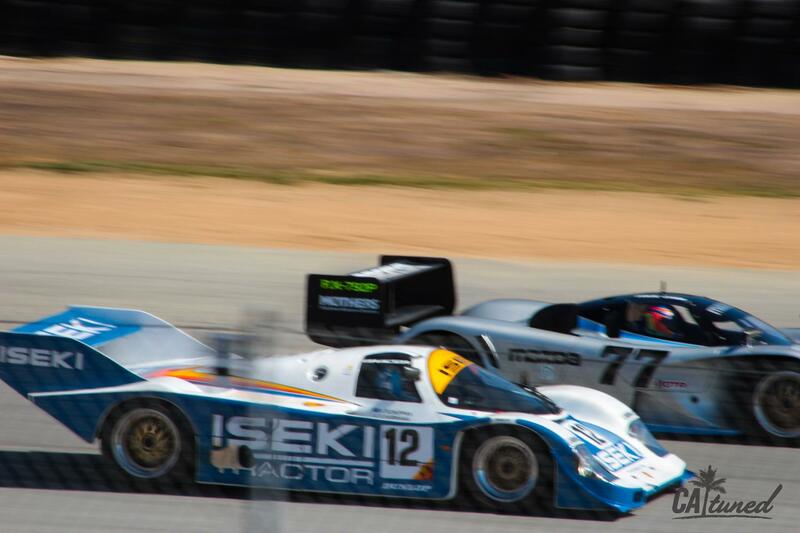 Rounding out the IMSA stuff, a separate group pitted the silhouette cars of the 80s and early 90s IMSA days against the earlier cars. This time we had the newer classes, starring GTP cars and GTO. 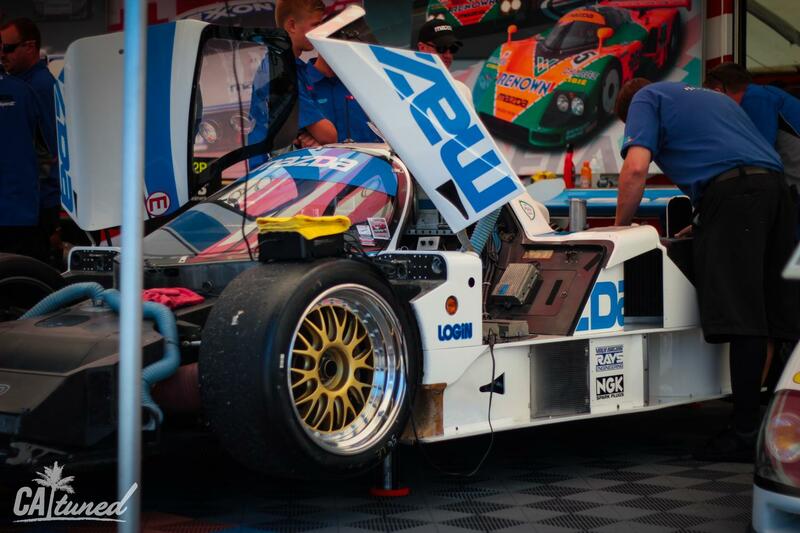 We still revere the GTP cars, based on the FIA's Group C Prototype category. For the first time ever I watched a Mazda 787 spit flames and chase its younger, faster sibling, the Mazda RX7-792P, while they weaved through the slower traffic of the GTO cars in true multi-class racing fashion. 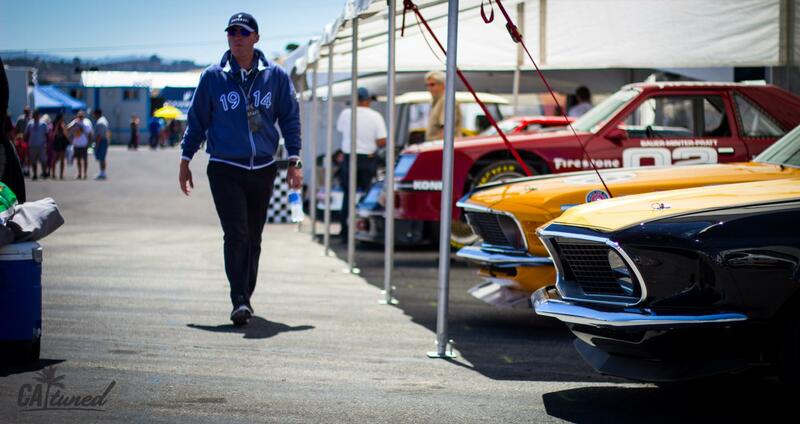 The GTO cars themselves didn't just stay in the shadow of the GTP cars. 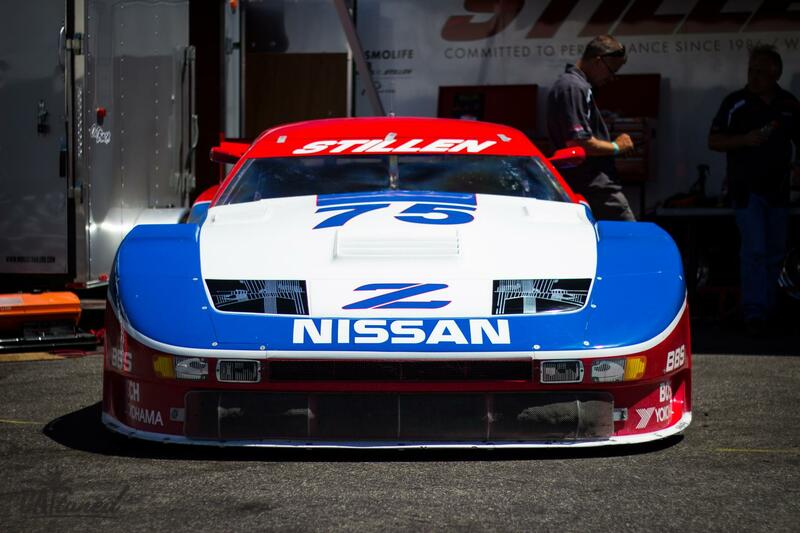 By this time, GT cars in the U.S. looked more like road-going NASCAR racers than production-based grand tourers. 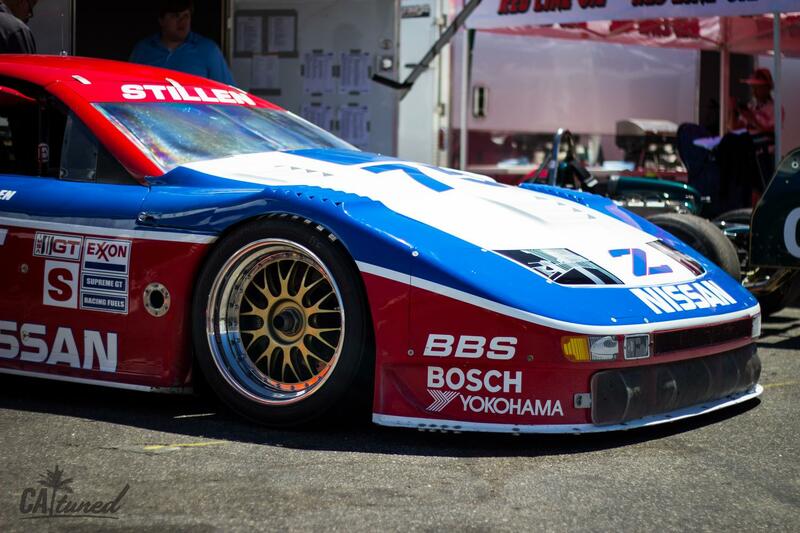 Even on track with the likes of the Porsche 962 prototype, the touring cars drew the eye. Back then even Nissan and Toyota got in the game with silhouette-bodied, rule-bending versions of the Celica, 240SX, and 300ZX. 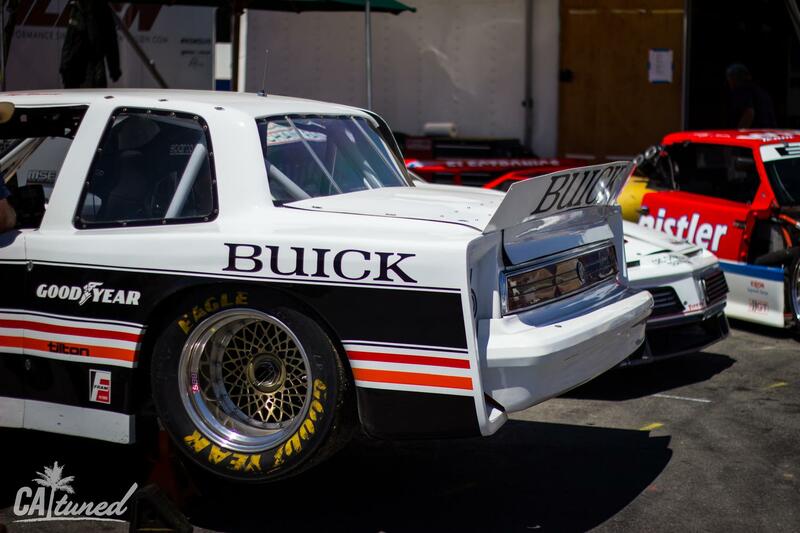 The Reunion threw them back into battle with their old American enemies from Chevy, Ford, and even Buick--every driver racing like it was still 1987, and a championship was on the line. 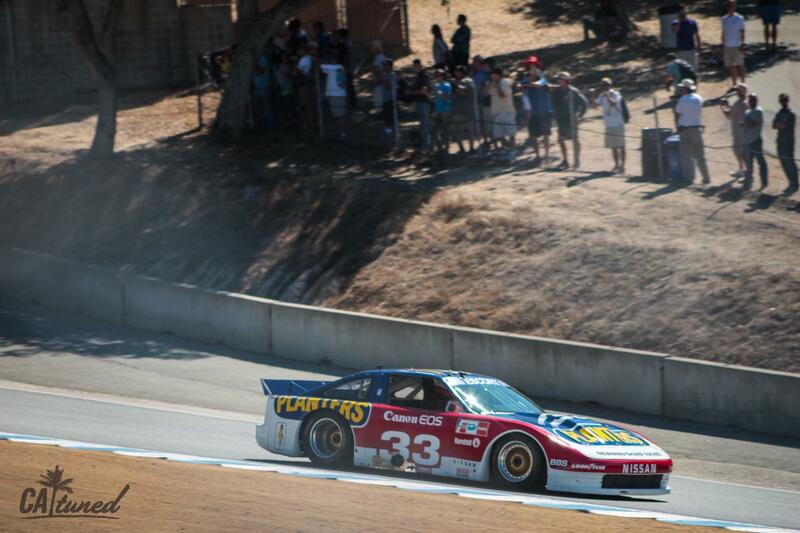 Hands down, the best race of the entire weekend was the second Trans Am race on late Saturday afternoon. Exhausted from the sun, our group had come back to the campsite for some beer and relaxation. Right in front of us, the big screen on track was broadcasting the action of the race. It was the best decision we'd made all day. The top 5 cars included a mix of Camaros, Mustangs, and an AMX Javelin that came out of nowhere to ruin everyone's day. Between the 5 of them, the lead must have changed 5 or 6 times, with almost all of the contenders getting a taste at 1st or 2nd place. The passes were amazing, and even a little insane on a track where most spots off the racing line are full of slippery sand waiting to spin you out of contention. The winning AMX had found first place only to make a mistake and slip beneath the other crabs in the barrel down to 5th or 6th place about halfway through the race. There it stayed until the last two laps of the race, when I watched it claw its way back to the front, out-dragging the other muscle cars to the finish line at the top of the hill. If the weekend had ended right then, I'd have been content. 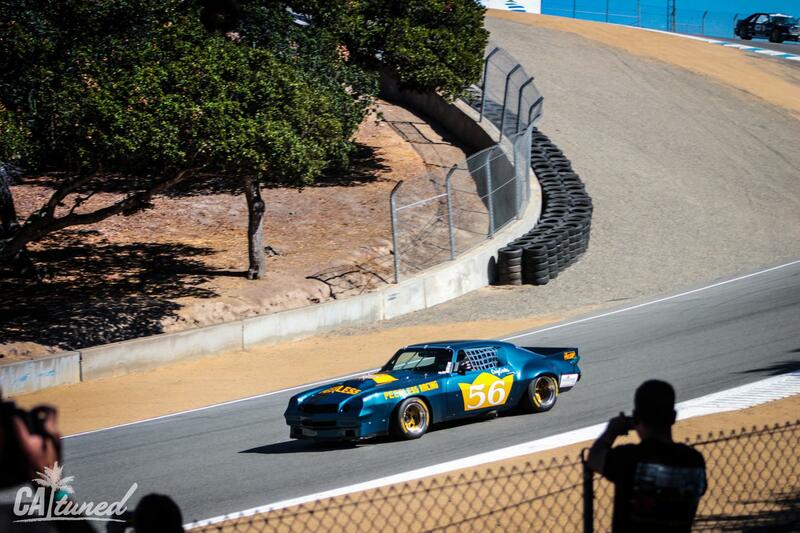 No matter what kind of racing you like, make it a priority to go to Laguna Seca at least once in your life. If your'e an American race fan, you owe it to yourself to experience it. The burning thighs and buttocks from walking up hill everywhere, the sand in your eyes, and the grit in your teeth every time a car dips a tire off track are more than worth it. Bring a couple of dollars to tip the vets who provide go kart shuttle service to different parts of the complex. Bring another $10 or so for one of the excellent glossy programs the Track prints for major events. They're full of great information, and are instant collectible items. Depending on the event, it may also be free with your ticket. Look for the information booth in front of the gift shop. Stay away from the teriyaki bowl place. 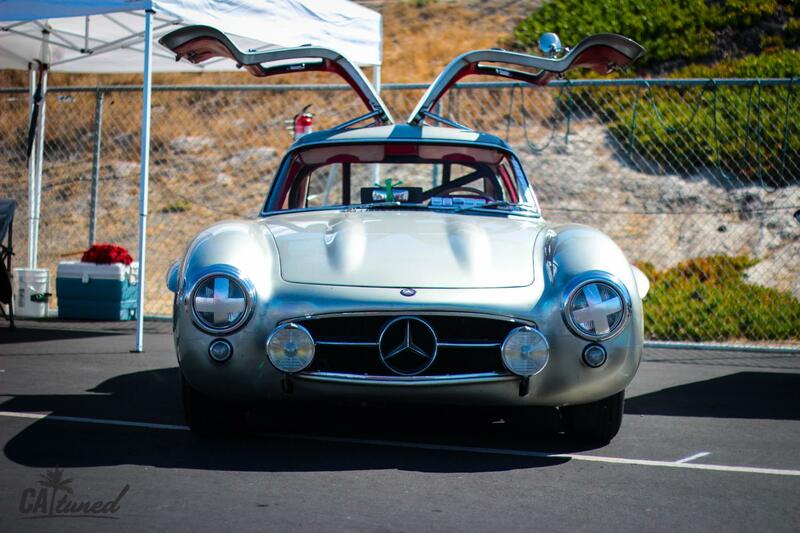 If you live far, and you need an excuse to come all the way over to California: make it a one-week vacation for Monterey Car Week. 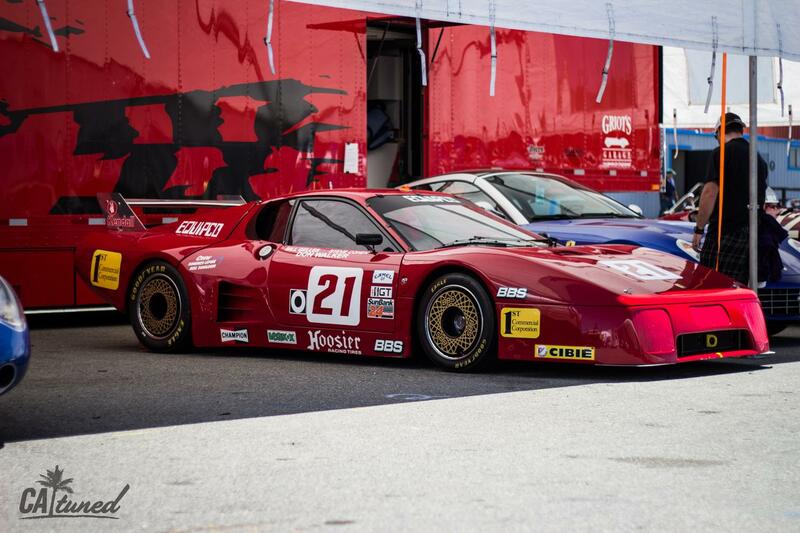 The Rolex Motorsports Reunion is but the end-cap to the most amazing week of car culture this side of LeMans. 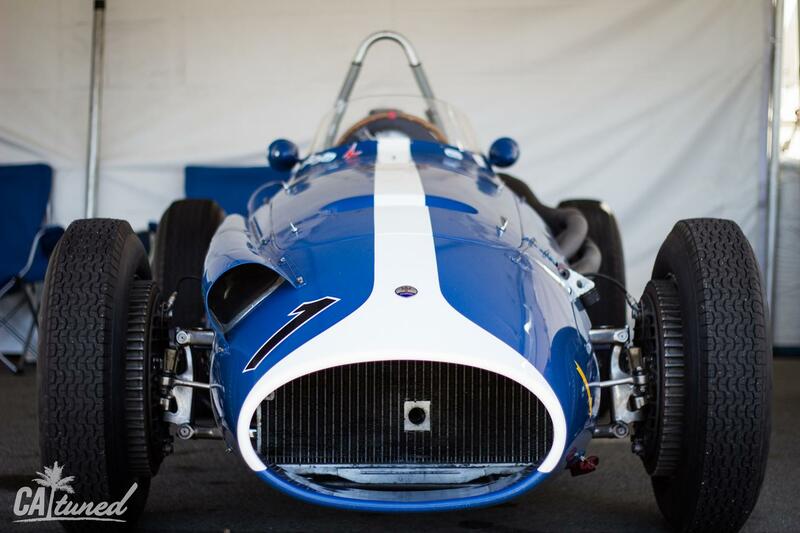 The days are full of automotive events big, small, public, and private, including the famous Pebble Beach Concourse d'Elegance, and The Quail. If you've got a family, call it a beach vacation, and slip away when you can. As most memorable experiences go, I was sad to see Laguna Seca and Monterey at my back. It's been great to peruse the hashtags on Instagram, reliving the weekend through the lens of other photographers. Only a few weeks have passed, and I'm already waiting for next year. There's nothing like being in a town full of people who share the same passion as yourself. On every street, and in every parking lot rare classics sit, basking in the sunlight and the stares. Even the cars that are broken down on the side of the road (and there will be breakdowns) command respect and awe. I think I'm going to take my own advice and make a vacation out of it next year. Look me up if you're thinking about going, because I'd love to meet. And bring some friends. Everything's better with friends.